151 · Mercedes and Maria-Christina · A. Van Armstel; translated by Noemi A. Bean · ss; translated from the French. 175 · A Railway Adventure · Max Nordau; translated by A. McKay Huntington · ss; translated from the German. 191 · Adios, Cordera · Leopoldo Alas (Clarin); translated by Jean Raymond Bidwell · ss; translated from the Spanish. 210 · The Renegade Zouave · Alphonse Daudet; translated by S. G. Thorburn · ss; translated from the French. 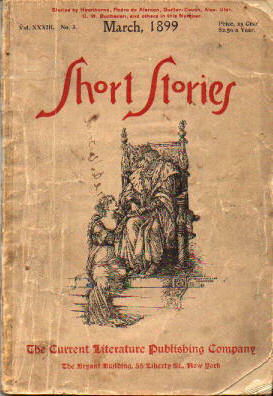 251 · The Leg · Heinrich Zschokke; translated by M. de Taillevis · ss; #95 in the Famous Stories series. ; translated from the German. 274 · Three Days of Zoes Life · Kerimee Hanoum; translated by Virginia Watson · ss; translated from the German. 328 · The Bell That Talked to the Soldiers · Aet Roe; translated by William Struthers · ss; translated from the French. The original [was] by an anonymous Russian author. 336 · The Dumb Princess · Rudolph Baumbach; translated by Neil Carew · ss; translated from the German. 355 · The Little Sardinian Drummer · Edmondo de Amicis; translated by Clou E. Hard · ss; translated from the Italian. 366 · Gingernuts · Leander; translated by Mary R. Gray · ss; translated from the German. 370 · The Bell Tower · Herman Melville · ss Putnams Monthly Aug 1855, uncredited; #96 in the Famous Stories series. 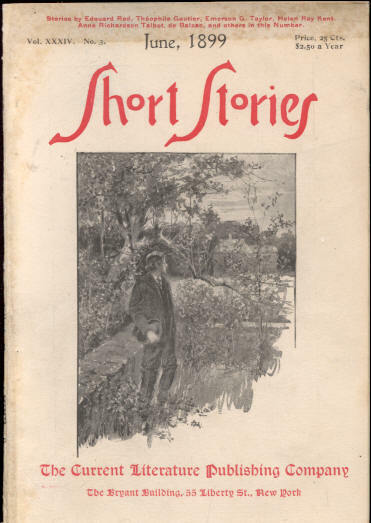 118 · The Acts of Diotimus · Jules Philippe Heuzey; translated by M. B. Stewart · ss; in the Famous Stories series. 241 · The Vision of Sudden Death · Thomas De Quincey · ss Blackwoods Edinburgh Magazine Dec 1849; in the Famous Stories series. 352 · A Conversation in the Alhambra · Pedro Antonio de Alarcón; translated by Joseph E. Weber · ss; translated from the Spanish. 375 · Dr. Heideggers Experiment · Nathaniel Hawthorne · ss The Knickerbocker Jan 1837, as The Fountain of Youth; in the Famous Stories series. 122 · The String · Guy de Maupassant; translated by Emar Soule · ss; in the Famous Stories series. ; translated from the French (La Ficelle). 202 · The Relic · Guy de Maupassant; translated by Elsie F. Hinman · ss; translated from the French. 243 · The Pit and the Pendulum · Edgar Allan Poe · ss The Gift: a Christmas and New Years Present, MDCCCXLIII, Carey & Hart 1842; in the Famous Stories series. 263 · The Spectres Violin · Erckmann-Chatrian; translated by Keokee Monroe · ss; translated from the French (Le violon du pendu, Contes de la montagne, Michel Lévy Frères, 1860). 364 · The Elixir of Life · Honoré de Balzac; translated by Neil Carew · ss; in the Famous Stories series. ; translated from the French (Lelixir de longue vie, La Revue de Paris Oct, 1830). 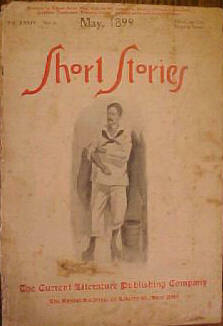 118 · The Bonhomme Richard and the Serapis · Robert W. Sise · ss; in the Famous Stories series. 251 · Mesrour and His Princess · Victor Hugo; translated by Gertrude M. Merser · ss; in the Famous Stories series. 377 · The Wreath of Victory · de La Motte Fouqué; translated by Neil Carew · ss; in the Famous Stories series. 1 · The Vendean Marriage · Jules Janin; translated by Jane G. Cooke · ss; translated from the French. 77 · Uncle Buscabeatas and His Pumpkins · Pedro Antonio de Alarcón; translated by William Struthers · ss; translated from the Spanish. 119 · The Water of Forgetfulness · Rudolf Baumbach; translated by Minna B. Hudson · ss; in the Famous Stories series. 244 · The Mutiny in the Hermione · H. W. Wilson · ar The Cornhill Magazine Sep 1899; in the Famous Stories series. 370 · On Guard · Berthold Auerbach; translated by Elizabeth R. Webster · ss; in the Famous Stories series.